Okay, this is actually from yesterday, not today, but it's an amazing piece of true sports ephemera. 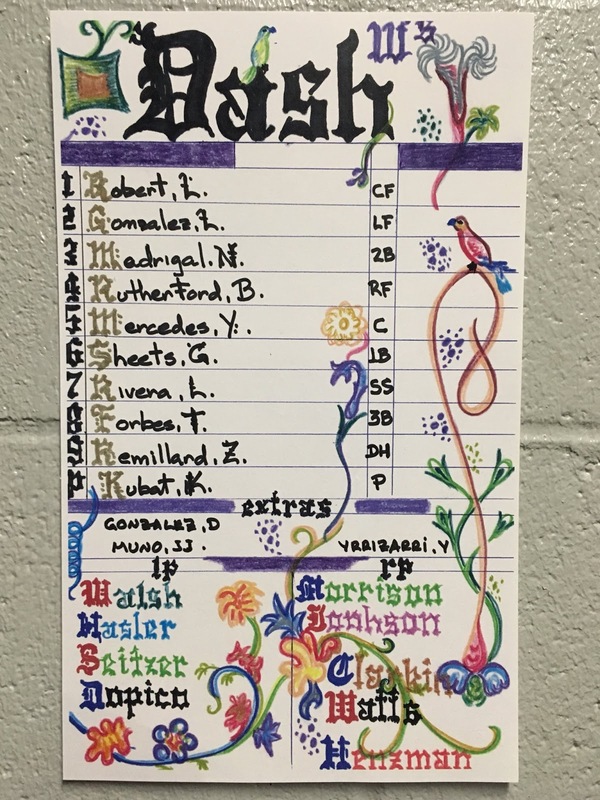 Via a tweet from the team, this is manager Omar Vizquel's lineup card for Tuesday's Winston-Salem Dash baseball game. I feel like there's a bit of Pennsylvania Dutch influence there, don't you? Vizquel has some background as an artist, according to this story from last December. Meanwhile, you can even have a behind-the-scenes peek at Vizquel decorating his lineup card in this Instagram video. Now go be creative with something of your own! That definitely has a fraktur/hex sign vibe to it!